I had a choice to take my pension as a lump sum or lifetime annuity payments and I opted for the lump sum. Now I feel like it was the dumbest decision of my life. I think I’m looking at a long retirement, and I’m just not very confident about investing in today’s market. Any advice for what I should do now? My first piece of advice is don’t beat yourself up too much about this. Deciding between a lump sum and a pension is tough and complicated decision. On the one hand, the guarantee of lifetime payments is appealing because it represents security and offers peace of mind. Indeed, research shows that retirees who have pension or annuity income tend to be happier in retirement than those who don’t. And yet, the prospect of getting your hands on a big chunk of money—for many people a larger sum than they’ve ever had at one time in their entire life—is also appealing. It can give you a feeling of freedom, perhaps the sense that you can live larger than you’d ever imagined. Problem is, there’s also a little thing called “wealth illusion,” a term behavioral economists use to describe the fact that people often overestimate how much sustainable income they can draw from a large sum, which leaves them vulnerable from running through their money too soon. Given the conflicting goals and feelings that the pension-vs.-lump sum issue can awaken, it’s no wonder that people have a hard time making a choice. So I’m sure you’re not the first one to later regret his decision. The good news, though, is that you have the opportunity to take a mulligan, a d0-over, and get the pension-like income you seek. How? By buying an immediate annuity, a type of investment that’s specifically designed to turn a lump sum into guaranteed lifetime income. For example, a 65-year-0ld man who invests $100,000 in an immediate annuity today would receive payments of roughly $560 a month as long as he lives. A 65-year-old woman investing the same amount would get about $530 a month for life, while a 65-year-old couple (man and woman) would receive about $470 each month as long as either is alive. To see what size payments you might get based on other ages and investment amounts, you can check out this annuity payment calculator. Just to be clear: I’m not saying that buying an immediate annuity with your lump sum will give you the same level of payments you would get by taking the pension annuity option from your company. Insurance company annuities tend to generate somewhat lower monthly income because, unlike an employer, they have to build a profit margin into their payment rates. Still, if not having stable income that will last no matter how long you live is what’s causing your pangs of regret, this is a way to get some relief. Before you commit your savings to an annuity, however, there are a few things you need to think about. One is how much of your money you ought to devote to an annuity. It’s important that you understand that once you put your savings into an immediate annuity that generates lifetime income, you’ll no longer have access to that money. So you’ll want to be sure that after buying the annuity you have enough left over from your lump sum or invested in other accounts to cover unanticipated expenses. That’s why I typically suggest that people combine an annuity with a portfolio of stocks, bonds and cash that can not only provide liquidity for emergencies and such, but also generate some capital growth to help you maintain your living standard in the face of inflation over a retirement that, given today’s lifespans, could easily last 30 years. To estimate how long you might need your savings to last given your age and health, you can go to this longevity illustrator. For advice on how to divvy up your money between stocks, bonds and cash, complete this risk tolerance-asset allocation questionnaire. There’s no rule that I know of for how much of one’s nest egg should go into an annuity. But a decent guideline is to devote enough to an annuity so that its payments plus income from Social Security will cover all or most of your essential retirement expenses. If you’re not sure how much your essential, or for that matter non-essential, expenses amount to each month, you can get a fix on them by filling out this BlackRock Retirement Expense Worksheet. The size of the monthly payments you’ll receive can easily vary 5% to 10% from one insurer to another, so it pays to do some comparison shopping before you buy. You can do that by going to a site like ImmediateAnnuities.com, an online insurance brokerage that offers annuities from a variety of insurers, or by getting quotes through investment firms such as Fidelity, Schwab and Vanguard. To ensure that you can truly count on those annuity payments for life, I recommend that you also spread whatever amount you decide belongs in annuities among the annuities of two or more insurers that get high financial strength ratings from firms like A.M. Best and Standard & Poor’s and limit the amount you invest with any single insurer to the maximum amount covered by your state’s life and health guaranty association. To see the coverage limits for your state as well as get information about how the state guaranty system works, go the site of the National Organization of Life & Health Insurance Guaranty Associations. Don’t feel compelled to invest all your money at once. In fact, you’re probably better off investing smaller amounts gradually over the space of a few years. Buying in stages will give you a better chance to assess how much annuity income you actually need, making it less likely you’ll end up putting too much of your money into annuities. And since the level of interest rates plays a big role in determining annuity payments, investing over the course of a few years reduces the chance that all of your money will go into annuities when interest rates and annuity payments are at or near a low. For more suggestions on how to get the most out of any money you invest in an annuity, read this column on the 5 Tips For Choosing The Best Annuity For Lifetime Income and this one that discusses the 3 Questions You Must Ask Before Buying An Annuity. And if the idea of weighing the pros and cons of annuities just seems too daunting, you can always consult a financial pro for help (although you want to be careful you don’t wind up with an adviser who’s really more of an annuity salesman or an adviser who would never recommend an annuity because he’s more intent on managing your money for an annual fee). One final note: I urge anyone reading this column who’s currently facing the lump-or-pension decision or expects to be grappling with it in the future to set aside sufficient time to give this issue the attention and seriousness it deserves. 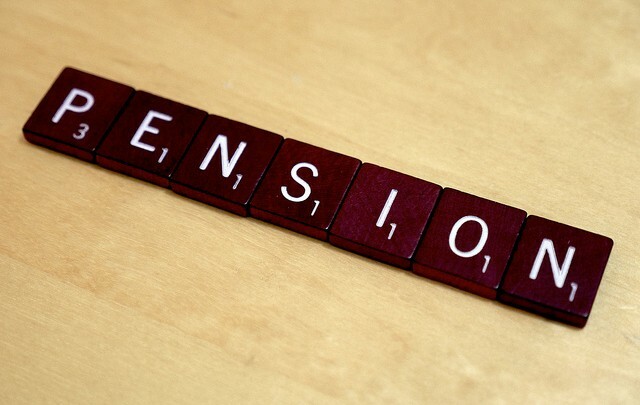 You can get a good overview of the issues involved and the names of organizations that can provide help in an earlier column of mine titled Pension Dilemma: Lump Sum or Lifetime Annuity Payments.